Gift this Silky-Smooth 30 Red Roses Arrangement in a Basket to your loved ones and spread happiness. This bold n rich Roses is beautifully arranged with Fillers. 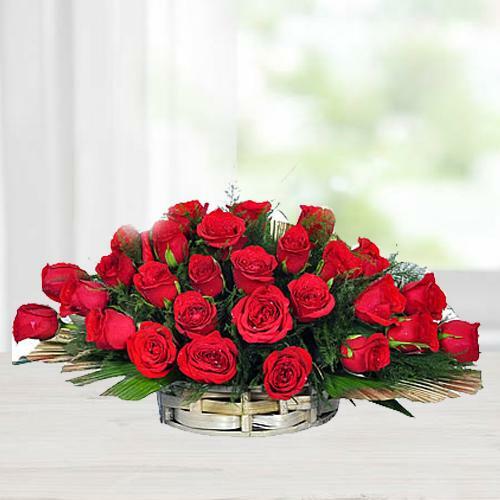 Send this Luxurious Arrangement of 40 Red Coloured Roses to your beloved one as a gift and show your affection.